Mental and body wellness can be maintained with the right healthy food diet that encompasses alternatives that any person can take up and start enjoying the inherent benefits. Ample food intake of the basic food groups together with proper hydration works across the board for all ages. A low calorie diet entails substitution of unhealthy meals with proper well thought out choices that will act up well and unlock amazing benefits for the body and mind. Vegetable based diets are ideal as they give plenty of fill and are nutrient packed with fundamental nutrients needed for holistic growth and development. White meat sources from chicken and fish are recommended instead of red meat. Any well rounded diet has to match up all the essential food groups in just the right proportions for optimum impact. 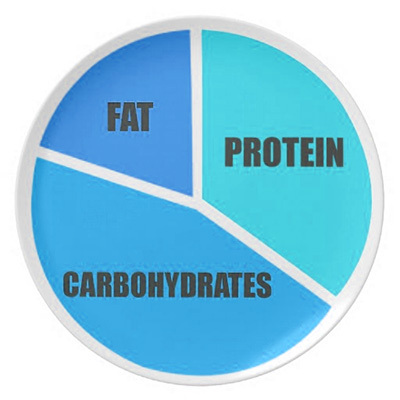 Greens need to fill up almost half the plate serving with the other portions meant for carbohydrates and protein sources. Detox plans go a long way in boosting the body’s metabolism and helps develop a healthy appetite. Animal and plant based food options can be used in combination to come up with a feasible diet that includes all the basics. Getting a suitable schedule that will work with what is available is the most important step when putting up a healthy diet plan. Breakfast servings need to be hefty enough to nourish the body for the entire day’s demands. Lunch meal contains lesser serving to keep away hunger pangs and keep up the level of energy needed to cover the remainder of the day. Supper is ideally light and taken a few hours before sleep. Simple diet plans are the way to go for respectable gains to be made over time. Nutrient packed foods, whole grains, lean protein sources and plenty of vegetables are highly recommended. Can’t afford to go to the gym? Try out some of this low-cost fitness equipment that you can use at home. Exercising doesn’t have to be just weights and treadmills at the gym. Now, you can get an even more effective workout with this workout gear. 1. 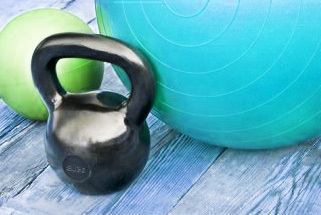 Kettlebell: Kettlebells are great for a full body workout. Kettlebell swings are the most popular exercise because they target the core, legs, and arms all at once. When doing a kettlebell swing, be sure to engage your legs rather than using momentum to get the most out of the workout move. Kettlebells are also great for squats. 2. Jump ropes: Jump roping for ten minutes alone can torch a lot of calories (10 per minute). It’s a great way to warm up or do cardio intervals in between a weights routine. It’s also one of the cheapest pieces of fitness equipment you can own at around $5-10. 3. Stability Ball: Stability balls are great for building core and leg muscles. They can be used to add difficulty to routines (for example, putting a stability ball during your legs between leg lifts or leg raises). They are also great for increasing balance, and can even be used for exercises like wall sits and crunches to add an extra challenge. 4. Resistance bands: Resistance bands are great for at-home workouts because they are easy to store and much more affordable than an entire weights set. They come in different levels of resistance and can be used for bicep curls, ab workouts, or even leg raises. Ankle resistance bands can also be used to add difficulty to squats. The average resistance band is $5-10, and it’s also great for exercising while travelling. 5. Yoga Mat: A yoga mat is perfect not just for yoga and pilates but for any workout at home where you will need to do crunches, push-ups, etc. It’s great if you live in an apartment or house with little carpeting, or if you want to exercise outside on pavement or even grass. These five pieces of workout equipment can help you get started on a full workout regime at home at a fraction of the cost of a gym membership. You can combine the equipment above to do high intensity interval training and weight training, a cardio workout with jump roping, or even a Crossfit-style workout.